UFO SIGHTINGS DAILY: What Is The Government Hiding About Aliens and UFO's? April 2016, Video, UFO Sighting News. What Is The Government Hiding About Aliens and UFO's? April 2016, Video, UFO Sighting News. I like his ideas of finding out more information about older UFO sightings and crashes. The 1897 Aurora UFO Crash is a very interesting case which he talks about and full disclosure of all documents about the case would in itself, change the world forever. My only hope is that one day a hacker will get hold of the original files and photos of the event and release them to the world. 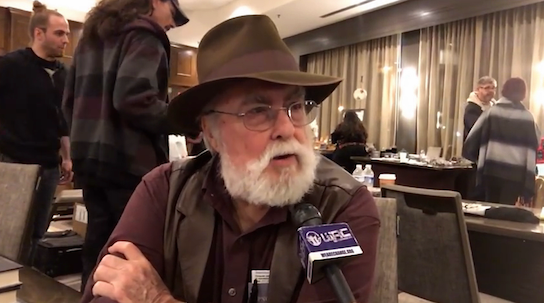 In this video Luke Rudkowski interviews Jim Marrs, an American newspaper journalist and New York Times best-selling author. The two discuss the best evidence for extraterrestrial life and the history of government cover ups on this topic. We not only go over the government's actions but actually evidence with whistleblowers and official government documents.